We have been servicing our clients' increasing commercial property requirements in the Brisbane market for many years. In 2018, we joined with Brisbane-based specialist retail tenant advisory firm The Leasing Department to expand our national offer geographically as well as into the retail sector. With a population of over two million people, Brisbane has some of the best economic prospects in the developed world. A global hub for mining and associated service sectors, it is home to a number of large resources and energy companies. The Brisbane CBD has record vacancy rates falling from 14.7 to 13.0 percent in the six months to January 2019 – the largest drop of any state capital. Total stock in the Brisbane CBD is just over 2 million sqm. Tenant demand saw 25,192 sqm absorbed over the last six months. To overview Brisbane’s Industrial market, we’ll look to the city’s southside where Net Face Rents remain consistent at $118sqm. Economic recovery and interstate migration continue to grow in Brisbane and South East Queensland with an increase in tourist arrivals assisting retail trade in Brisbane and the Gold Coast. Investor demand has outgrown supply for Queensland neighbourhood centres, highlighting the strong retail growth. 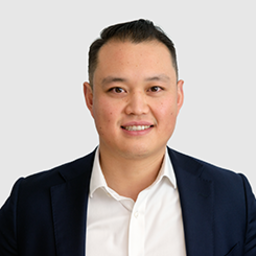 Kyle is the Retail Director for LPC Cresa in Australia and New Zealand. He is passionate about helping retailers improve their bottom line through strategically aligned property outcomes. He is the Leasing and Tenancy Advisor to the National Retail Association. Occupiers acknowledge Julian as a trusted advisor who provides independent advice to help them extract value from their accommodation arrangements. Julian's priorities include occupier strategy, portfolio optimisation, transaction management and financial modeling. Ken is a skilled collaborator and negotiator who can be relied upon to deliver accommodation solutions that support client business objectives. His priorities include strategic consultancy, transaction management, portfolio and lease management, premises acquisitions and disposals. Mitchell is an Associate in our Brisbane office. A property professional who thrives on achieving excellent outcomes for his clients, Mitchell provides valuable support to our national Retail and Office teams in the areas of transaction and portfolio management.